I really have to thank Rochelle over at Adventures From Elle not only for the nomination but for the chance to do a blog post that is not bird related. I have been busy over the last couple of months, and I haven’t been keeping up with my blog. I didn’t even know I was nominated by Rochelle for any awards. I just happened to be reading one of her posts, and I saw a link to my blog in her comment section. Please check out her blog as she travels across Jamaica recording her adventures. This award was created by Okoto Enigma. 1. 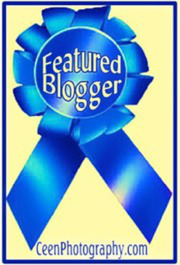 Display the award logo (I borrowed one from Senczyszak.com) and list the rules on your blog. 2. Mention the creator of the award and provide a link. 4. Say three things about yourself. 5. Nominate from ten to twenty bloggers & notify them by leaving a comment on their blogs. 7. Answer five questions from your nominator. 8. Write five questions for your nominees. 9. Share your best post. One of the reasons I have been so busy over the last couple of months is because I have been trying to turn my dream of being a restaurateur into a reality. I am trying to open a Jamaican restaurant here in Delaware, and I would have been on my way if negotiations for the location I wanted didn’t break down. This latest setback was discouraging, but I haven’t given up, and you guys will be kept informed on my progress. I have been doing really well at my jobs. Yes, jobs. I have two. I was awarded employee of the month, employee for the second half of the year and I also got a sales award. Most recently I caught a customer stealing, and he tried to bribe me. Of course, I didn’t accept his bribe (Mama didn’t raise any fools), and I was awarded for my moral fortitude. Finally, I went on vacation recently. Hurricane Harvey threatened to spoil my holiday. 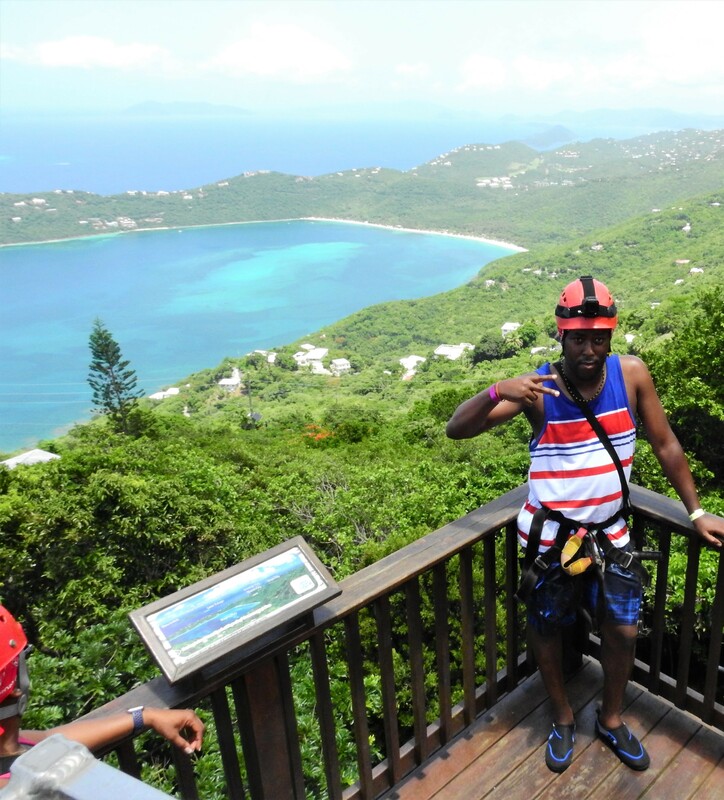 I was supposed to visit Mexico, Honduras, and Belize, but because of the threat from Hurricane Harvey, I ended up visiting Bahamas, St. Thomas (US Virgin Islands) and Sint Maarten. I had a wonderful time. I even managed to photograph some new birds. About two weeks after I returned to the States, Hurricane Harvey tore through The US Virgin Islands and Sint Maarten. I didn’t nominate any bloggers because most of the bloggers in my circle have already been chosen or would not participate (I have tried in the past). What’s the biggest challenge you’ve had to overcome to be where you are now in life? Growing up in the ghetto, surviving and not being influenced by that culture and lifestyle. Seeing your friends and children, you went to school with being killed, turn killers or go to prison. Realizing that where you don’t have to dictate where you can go. Are you a saver or a spender? If I am sincere; I am a spender. I believe in living for the moment and having memorable experiences. That being said, I believe in saving so I can enjoy these unforgettable experiences and the finer things in life. What other blog names did you consider before deciding on the one you currently have? I never considered any other blog names. The day I decided I wanted to blog, this was the name I came up with. I did, however, go through some taglines before I settled on the one I am using now. What’s the embarrassing username or e-mail from your childhood which you (hopefully) don’t use anymore? I never had an embarrassing username or email address. In fact, I still use the very first yahoo email address I created all those years ago. What do you consider your biggest achievement to date? My most significant achievement to date is operating my own business while I was attending university. I also take pride in the fact that I worked for one of the biggest pharmaceutical companies in the world and in a significant capacity. In terms of views, my best post to date is by far Malcolm X’s Letter From Mecca. In terms of feedback, my best post to date is I Was Scammed By A Nigerian on eBay/PayPal. Thank you for reading and do check out some of my other posts. Jah Guide! This entry was posted in Blogging Recognition. Tagged Blogging, wordpress. I was wondering where you went after I stopped seeing your posts. All the best with your restaurant. Thank you. I still stop by from time to time. I miss reading the posts. I will try and catch up.